The beautiful, high-diving blonde had Hollywood dreams and stars in her eyes but now she seems to have disappeared without a trace. Hired by her hotheaded husband and her rummy "uncle," Lew Archer sniffs around Malibu and finds the stink of blackmail, blood-money, and murder on every pricey silk shirt. 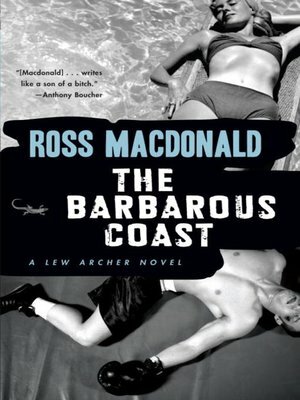 Beset by dirty cops, a bumptious boxer turned silver screen pretty boy and a Hollywood mogul with a dark past, Archer discovers the secret of a grisly murder that just won't stay hidden.Lew Archer navigates through the watery, violent world of wealth and privilege, in this electrifying story of obsession gone mad.